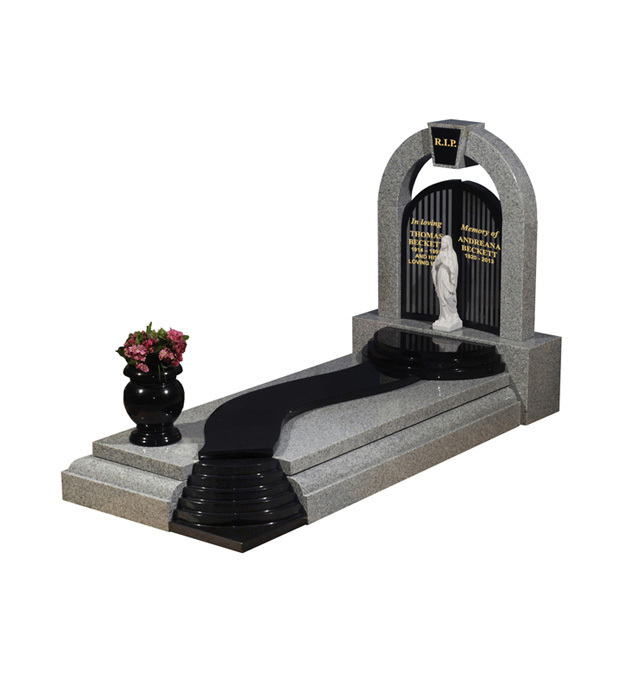 An all polished low maintenance 'Black' and 'Silver Grey' granite memorial with steps, a winding path and gates of heaven style double headstone. A circular vase near the foot completes what is a truly spectacular memorial. Shown here with Kosmolux (reconstituted marble) figure. Trade customers please log in to view Beckett purchasing options.